This plugin integrates mollie payment gateway with J2Store Joomla eCommerce solution. 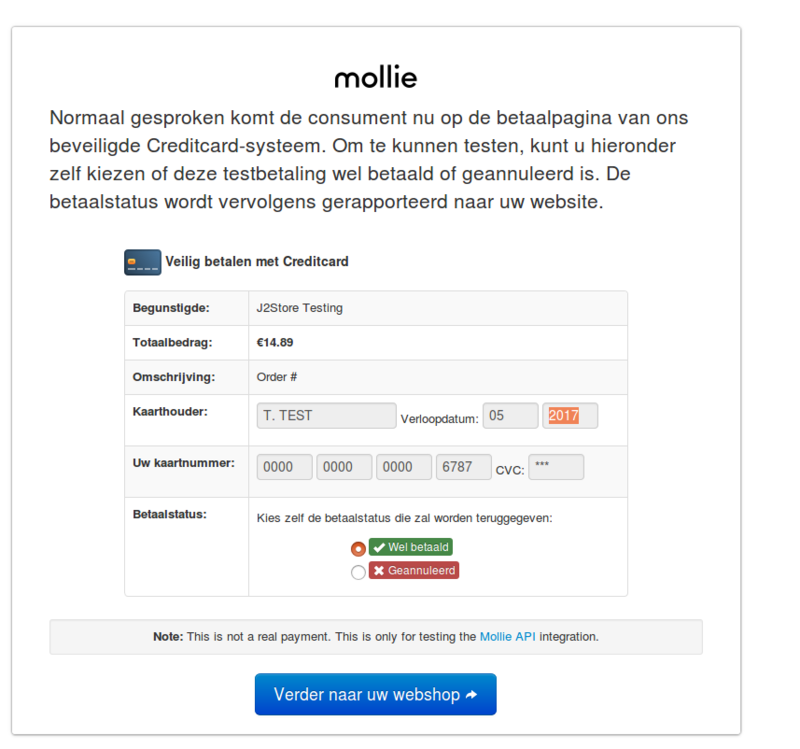 Process secure iDEAL, credit card, bank transfer, SOFORT payments, paysafecard, Belfius Direct and other more payments with J2Store's Mollie payment plugin. Download Mollie payment plugin package from our site's extensions section and install it using Joomla installer. 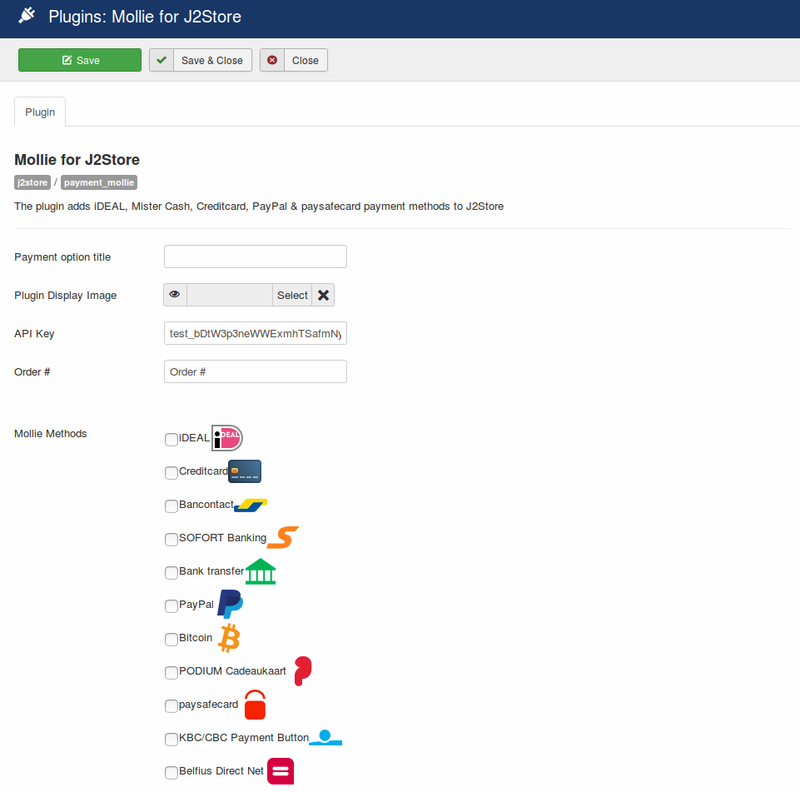 After installing plugin, go to J2Store > Setup > Payment methods and enable Mollie for J2Store. Once enabled, open / edit the plugin and configure the basic settings of the app. After log in, click on "Settings" under your profile name on top right of the page. In the resulting page, you will have to look at your website profile details or to create a new website profile if you don't have any existing web profiles. Click on Create new website profile. 4. 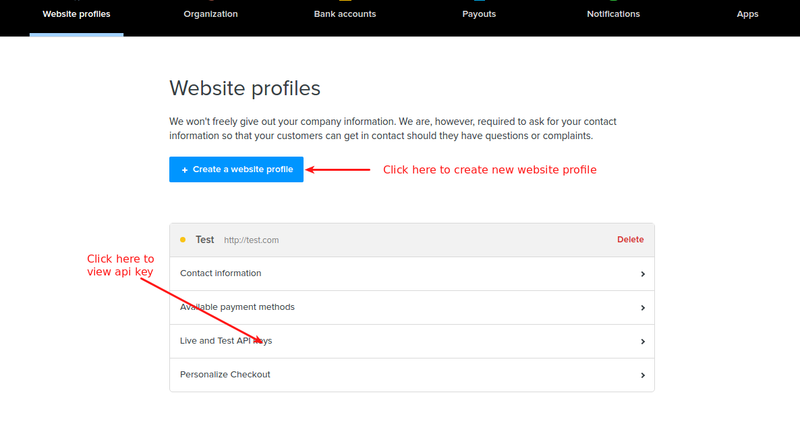 If you are creating a new website profile enter your store's details including your website URL and company name and select your payments and click save. 5.Your website profile page has all the information needed to integrate your mollie account with J2Store's Mollie payment plugin. Copy your live or Test API key (depending on the environment you are using) and paste it in plugin's settings. In some cases, the J2Store sends request to Mollie with Webhook url which is not acceptable by Mollie API. In that case, you would not receive IPN notifications properly to your website and so the order status remains Incomplete even the payment is successful. In this case, you could set the following webhook url in your Mollie account's backend that should solve the problem. The text entered here will be displayed at checkout payment steps. The image added here will be displayed along with payment title. 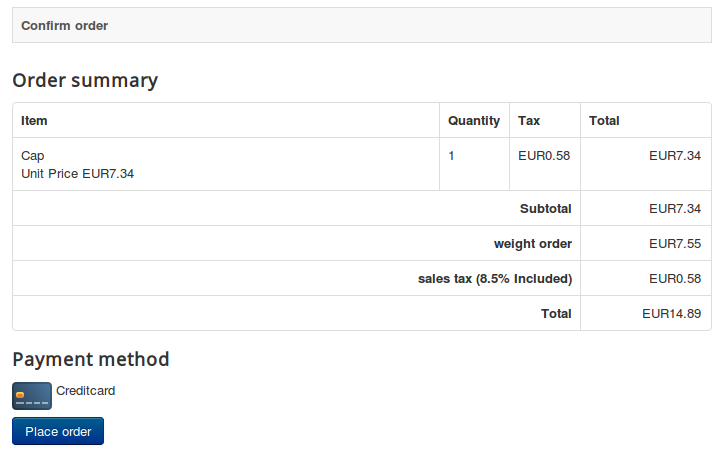 You could see this at checkout payment method step. Find and enter the API key associated with your Mollie payment account and click save button to get the list of payment methods. 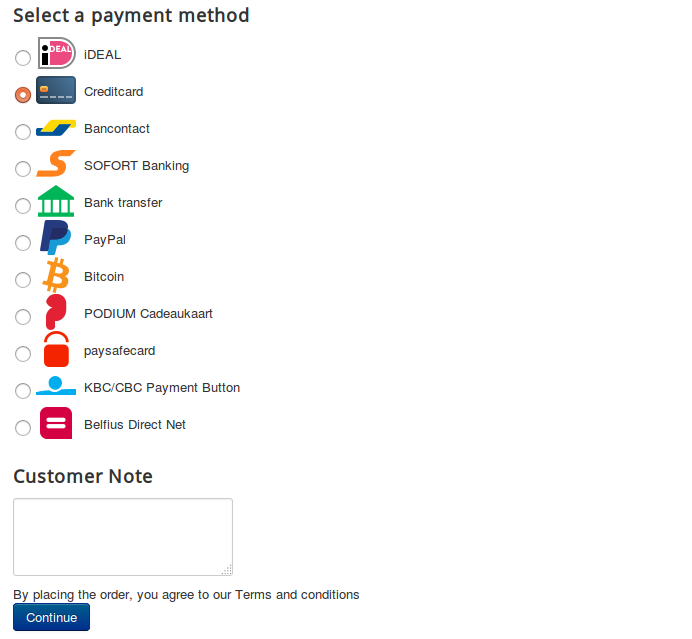 This will list all the available payment methods you have in your mollie dashboard. Do you want to apply a additional fee for choosing mollie as payment ? If yes, enter your fee in number in the text box provided. If you would like to apply surcharge in percentage (for example, 5%), enter your charge(5) in this text box. If you would like to apply surcharge as fixed value (for examplem $5), enter your charge(5)in this text box.